हमें अपना ईमेल दे. ताकि हम आपको एक दिन में एक बार मोबाइल और टैबलेट सहायक उपकरण Coupons कूपन भेज सकते हैं।. 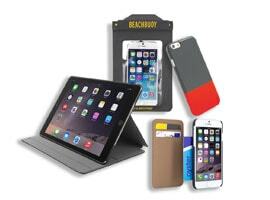 Mobile & Tablet accessories are essential to make your gadget look and work well. So,if you are in a hunt for the best accessories for your new mobile or tablet, then you will find here all the latest products for the same. Also, you will find mobile & tablet coupons here that you can use for free to save on your budget. You can buy earphones, headphones, case & cover, power banks, microSD cards, adapter & cables, chargers, etc., at low prices from popular brands including Philips, Sony, Samsung, Lenovo, Amkette, Panasonic, SanDisk, Skullcandy, Vox, etc. online. Just check for mobile & tablet accessories online and choose the best store from Amazon India, Snapdeal, TataCliq, Flipkart, Xiaomi and lots more. You are best assured of the quality of the product you buy online and you will also get mobile & tablet accessories cheap at these online stores due to the discounts they offer during various sales and festivals. By using the mobile & tablet accessories coupons from here, you will spend even lesser amount for your product.